A good travel app not only makes your vacation hassle free but also brings to your awareness some new and interesting places that you might want to check out. A travel app is like a personal travel guide, the only difference being the app knows much more. Using these innovative and smart apps, you can make the best choices possible for airfares, hotels, places to eat, see and shop, every time you are on a trip. 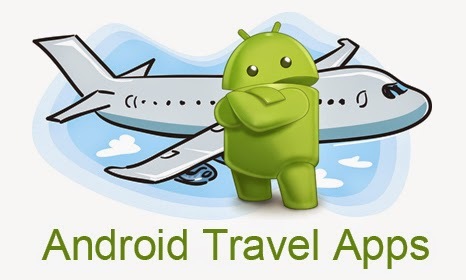 Here is the list of best travel apps for Android which come handy when on vacation. 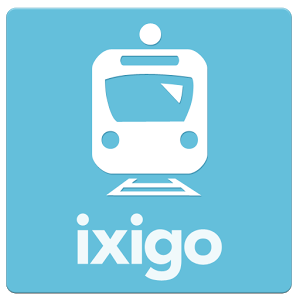 The ixigo trains app is one must-have app if you are planning to travel by train in India. With this app, not only can you search for trains between destinations, but also check real-time availability for more than 2,500 trains running under the Indian Railways. Also, you can find trains with train name or number, train running status, browse through routes of all trains to choose the best-suited option. What makes it a unique train app on android is that you get quick PNR status updates and you can also find a convenient seat using the seat/berth maps. This travel app is for those who want to to save a penny or two on their travel. The app offers you the convenience of first searching, then choosing and finally booking the cheapest flight and hotel deals from your smartphone. The app also saves your details, so that you don’t have to make the effort of keying in information every time you travel. With this travel app on your phone, you can now travel without worries! If you like to go by the reviews of a place, this travel app will serve as a life saver. With tons of reviews, photos, tips and maps, Tripadvisor is rated as one of the top travel apps. It lists the lowest airfare, great hotels, best restaurants, and fun things to do, wherever you plan to go. It also allows you to book your hotel on basis the reviews with just one tap. Think of anything related to travel--destination guides, flight fares, room tariffs, PNR status updates, buses, restaurants--and you will find it all in ixigo flight and Hotel app. It also comes with unique Near Me feature, that can find out all the places to see, eat, shop and unique things to do around you. Using this app, you can compare the best deals for your flight or hotel from over 100 travel sites. The app is easy to use and takes less than 7 MB on your smartphone. All these features add up to make ixigo flight and hotels app one of the best travel apps on the Play Store. Holiday IQ is one of the most trusted travel information portal and the app provides valuable information of more than 30,000 Indian hotels and other popular tourist attractions. You can find the hotels that best suits your budget. So, pick the app that suits your travel needs most from the list of best 5 travel apps and travel hassle-free! This guest post is submitted by Anjali Gupta. She is a passionate travel writer and currently working for ixigo.com, an online travel based search engine based in gurgaon, india. Anjali's interesets also involves writing about travel destinations, tourism guides and travel tips.